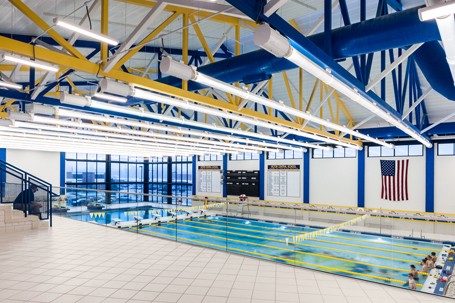 Victor Central School (VEC) students, staff, administrators, elected officials, and community members gathered in January 2014 to dedicate the school’s new state-of-the-art aquatic center, now the centerpiece of a campus-wide $29 million capital project. 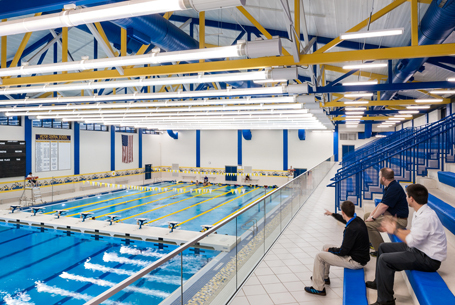 The new aquatic center replaced the district’s failing community pool that was nearly 40 years old. 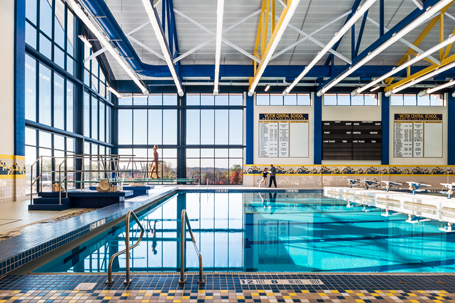 Highlights of the new aquatic center feature an eight lane, stretch-25 pool complete with a bulkhead, starting blocks, a diving area with two 1-meter diving boards, and spectator seating for 325 guests to cheer competitive swimming and diving events. 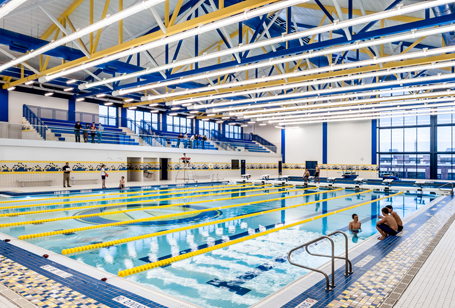 The existing pool was demolished in 2013 and in its place are now eight classrooms, an expanded senior high cafeteria, two locker rooms, four team locker rooms, and a junior high fitness center. The project also included multiple additions and renovations to existing buildings on campus. The VEC, which included an interior renovation of the existing administration wing, added six classrooms, along with an addition of five classrooms on the south side of the building. If the district needs more classrooms in the future, the addition at the VEC has been designed with the ability to add two floors.